Eawag’s strategy of bridging between cutting-edge research and practice has not gone unnoticed: the 2008 Award for Transdisciplinary Research – carrying a prize of CHF 75,000 – has been won by the Novaquatis urine source separation project. 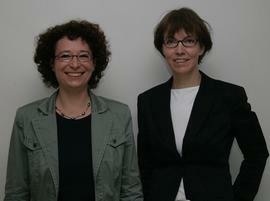 The award is made under the aegis of the Swiss Academies of Arts and Sciences “td-net for Transdisciplinary Research”, in recognition of the project managers’ commitment to transdisciplinarity: as well as integrating environmental, engineering and social scientific research, they sought the cooperation of non-academic partners at an early stage. The basic idea is simple: urine accounts for only 1% of the total volume of wastewater, but it contains up to 80% of all the nutrients. If it is processed separately, wastewater treatment plants can be reduced in size, water protection can be improved, and nutrients can be recycled. Separate treatment of wastewater streams thus opens up new possibilities, and there are many reasons for adopting urine source separation (“NoMix”) technology on a large scale. This applies in particular to emerging countries such as China, where sewerage and wastewater treatment facilities cannot keep up with the rapid pace of urbanization, and water pollution arising from domestic wastewater has reached devastating levels.